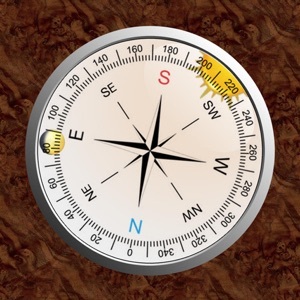 ***** Supports new iOS 9 This beautiful designed Compass App shows beside the heading also the current Sun and Moon positions. 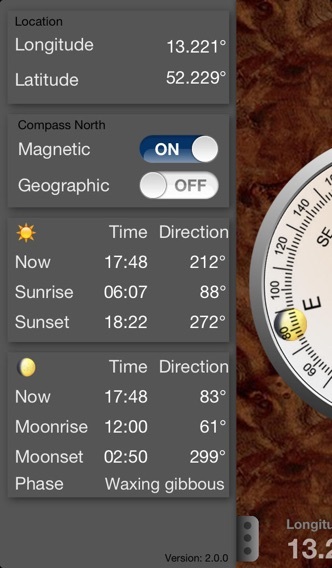 Additionally this App calculates Sunrise, Sunset, Moonrise, Moonset, the corresponding directions and the Moon phase. Most devices and their build in sensors are supported by this App: • iPhones (>3GS) und iPads have a build in compass sensor, which is of course used. 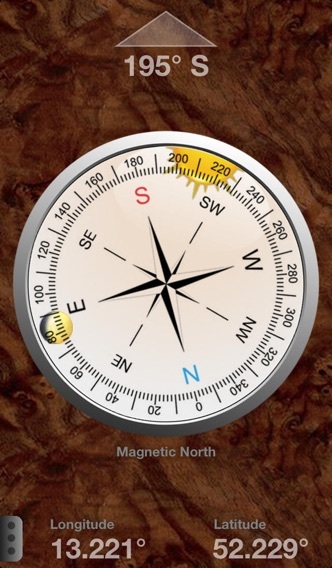 • All modern devices with a build in gyroscope support this App additionally by stabilizing the Compass data. 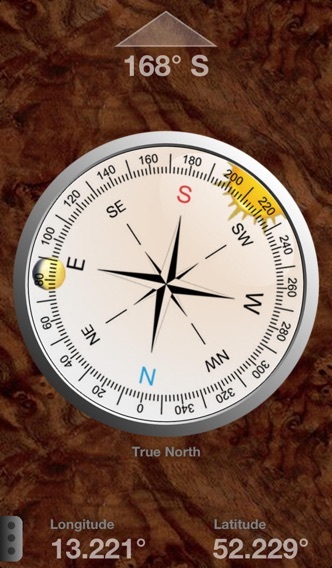 • iPod Touch devices without an integrated Compass can use this App as well. Just point the device to the Sun or the Moon to get correct direction information.